Ayurvedic philosophy states that the choices that we make each day can either build us up or make us more susceptible to life-destroying disease. Because we are exposed to so many environmental toxins from what we breathe in to what we put on our skin, in addition to the damaging impacts of our Western diet, our body quickly shifts into toxic overdrive. We may go to sleep each night, our body continues to work to rebalance, heal, repair, restore and revitalize so that we can have ample energy to face the next day. you knew that there was one simple, inexpensive thing you could do every day to help build health and rid your body of disease, would you do it? Consuming a cup of warm lemon water upon rising is one small change that can make a dramatic impact on how our bodies function. If this seems too simple to be true, we invite you to read on. The health promoting benefits of lemons is old news. For centuries, it has been known that lemons contain powerful antibacterial, antiviral and immune boosting components. We know that lemons are a great digestive aid and liver cleanser. While it is not rocket science, making warm lemon water involves paying particular attention to a couple of things. The water you use should be purified and lukewarm. Don’t make the water super hot, and avoid cold water. It is hard on the body, especially first thing in the morning, to ask it to process ice cold water. Always use fresh, organic lemons in your water, never bottled lemon juice. Squeeze 1/2 of a lemon into each glass of warm water. Be sure to drink the lemon water before you eat anything. This also makes a nice pre-workout drink. Here are a few reasons why you should consider adding a warm glass of lemon water to your daily routine. Improves Digestion: Your body works hard to digest all that you give it. Lemon juice helps flush away unwanted materials and toxins left from the digestive process. Because lemon juice is similar in atomic composition to digestive juices and saliva, it does a great job breaking down material and encouraging the liver to produce bile. Warm lemon water is a great tonic for heartburn, indigestion and bloating. The American Cancer Society recommends warm lemon water to encourage regular bowel movements. Balances pH: Lemons are considered one of the most alkalizing foods you can eat. This may seem untrue as they are acidic on their own. However, in the body, lemons are alkaline; the citric acid does not create acidity once it has been metabolized. The minerals in lemons are actually what helps to alkalize the blood. Most people are too acidic, and drinking warm lemon water helps reduce overall acidity, drawing uric acid from the joints. This reduces the pain and inflammation which many people feel. Boosts Energy and Improves Mood: Have you ever gotten up on the “wrong side of the bed?” If you are often lethargic and cranky in the morning, or any time of the day, for that matter, you may want to consider a little glass of lemon and water. Our energy comes from atoms and molecules in our food. When positively charged atoms flood the digestive tract and mingle with those that are negatively charged, a positive reaction occurs. Lemons contain more negatively charged ions than positive ions, which gives you a boost as the warm drink enters your digestive tract. Just the scent alone of lemons can improve your mood and elevate energy levels. Lemons also promote clear thinking and help reduce anxiety and depression. Susan is the Content Director at The Alternative Daily, a Certified Health Coach, Certified Metabolic Typing Advisor and Master Gardener. With an extensive knowledge of whole foods and wellness, Susan has authored over 3,000 articles and numerous e-books. She presently lives in the mountains of Arizona where she enjoys hiking, biking, gardening and pursuing a healthy lifestyle with her three daughters and numerous animals. Hey Buddy!, I found this information for you: "3 Reasons to Start Your Day with Warm Lemon Water". 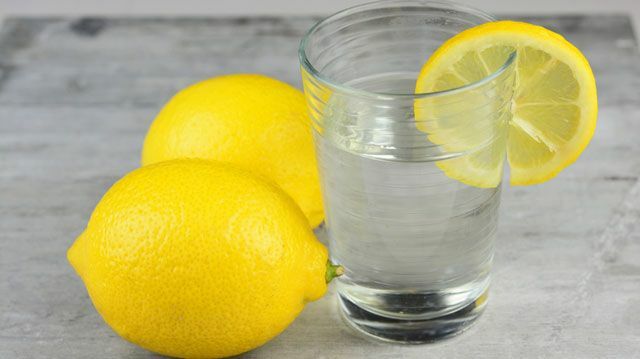 Here is the website link: https://www.thealternativedaily.com/3-reasons-to-start-your-day-with-warm-lemon-water/. Thank you.